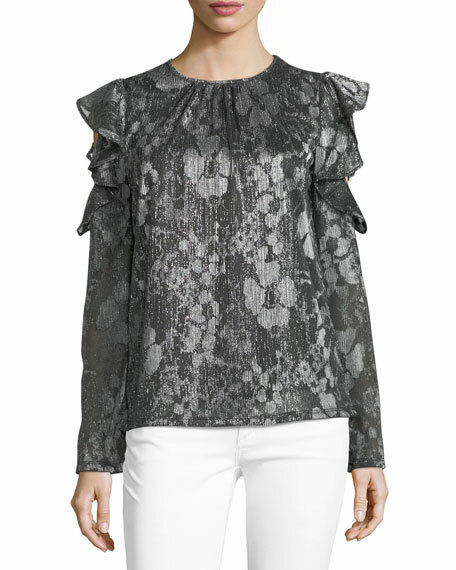 MICHAEL Michael Kors top in metallic floral-print. Crew neckline; embossed logo tag at back. 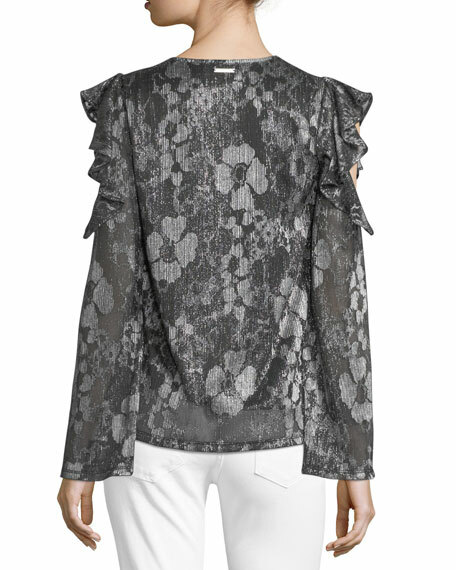 Long sleeves; ruffled cold shoulders. For in-store inquiries, use sku #2414008.